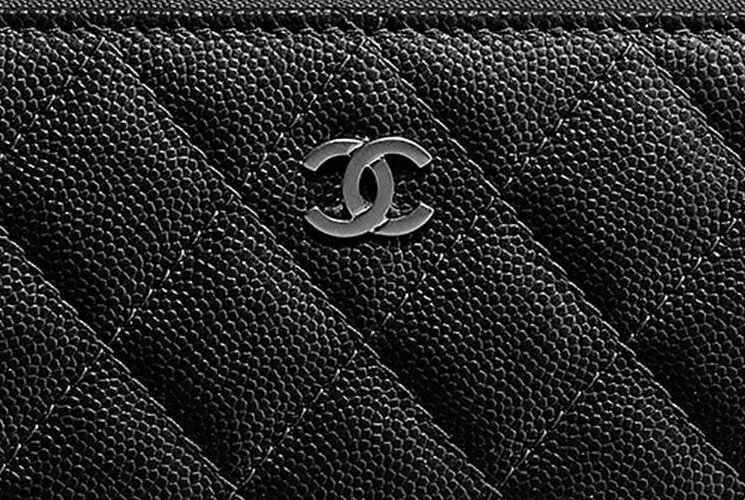 Meet the Chanel Classic Side-Zip Wallet for the Cruise 2018 Collection. And maybe this wallet will join the ranks of the house’s classics and will be available in every season. But for now, it’s still new and it needs to proof itself (even tough it’s called a ‘classic wallet’). Just like any classic accessory, this Zip Wallet is crafted in diamond quilting to maximize the elegant look. The feel and experience is different than the lambskin and caviar though because it’s made in grained calfskin leather. 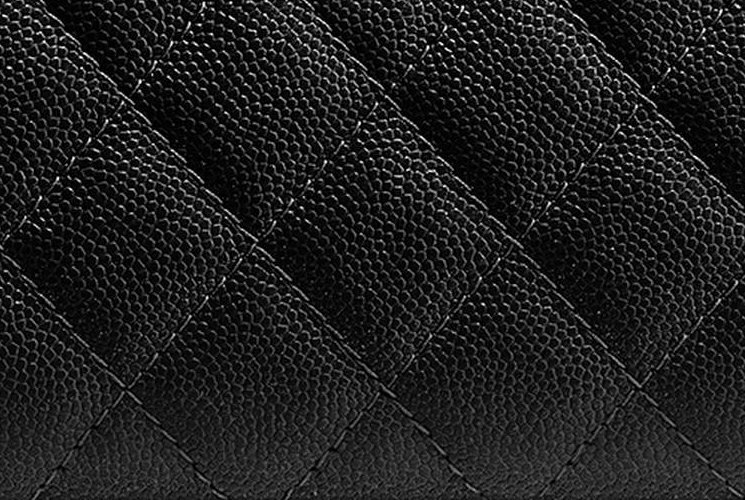 But this leather is as durable as caviar, but not as hard. What’s more? For this season, this wallet is refined with ruthenium metal black hardware instead of the regular silver or gold hardware. The metal black matches perfectly to the classic black shade, but of course there are more variation of colors available. Unlike the Zip Around Wallet, where you can zip the whole wallet open, this Side-Zip Wallet can only be opened from the top to the left. This new feature makes it a new item in the classic collection. 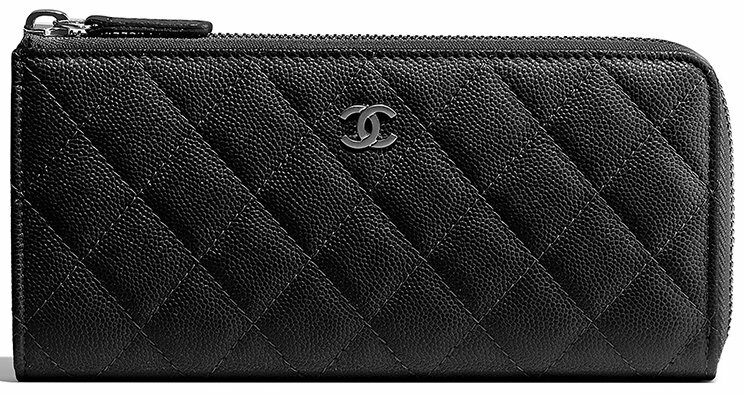 The Side-Zip Wallet is comparable to the Classic Yen Wallet in terms of size. The interior is designed with organized compartment to help you store your essentials. However, do note that the depth of this wallet is small, so it will store less than the other medium sizes of the Classic Wallets. Jewellery has been an important part of the human civilisation from times immemorial. Right from the days of the earliest civilisations, people have made jewellery out of almost anything, ranging from the cheapest materials like thread, common pebbles, wood etc. to the most precious stones, crystals, gems and metals. The innate desire to adorn the human body with jewellery has given rise to a huge industry of jewellery, spread across the world. With the advent of digital progress, the internet has seen the rise of a digital jewellery industry. As more and more new digital jewellery businesses are coming up, along with the traditional ones taking to the digital space with their work and brand value, it is important to stand out from the crowd. This is where personalisation comes in. If you are planning to open your own business or have already opened, or even thinking of taking your existing business to the digital space, here is why you need to consider personalisation today! Personalisation gives a jewellery a special touch like nothing else can. When you give someone a piece of precious jewellery, it is indeed a very special relation. But if one can get a custom made personalised piece of jewellery for their loved ones, it is indeed incredibly special. A personalised jewelllery has the sentiments, love, value and meaning that is shared only between the one giving it and the one getting it. Hence, by offering your customers a chance to customise and personalise, you are bringing a smile on the face of someone’s partner, parent, child or even a dear friend. Take a walk around your city and you will find dozens of jewellery shops, spread across the length and breadth of the city, some bang on the main roads, some tucked away in some obscure nook, some bright and shiny, some tiny and wondrous, like an alchemist’s cave. Each has a charm of its own. While there are big modern stores, there are also traditional stores with a handful of craftsmen bent over a bit of a piece of precious metal or stone, creating magic with their tools. Every single of these shops is flourishing in their own ways. In order to survive in such a competitive market, filled with options, you need to create yourself a niche, which customization and personalisation can offer. With good work and right marketing this can be your biggest selling point, and even your business’s unique feature, your USP. Your customers can create their own unique designs which will not only be incredibly special for them, it will also be great for your brand value. Every time your customers flaunt their custom made jewellery from your online store, it basically advertises you by word of the mouth. This can create a viable and loyal customer base for your which will help you promote your business simply through your work, without spending even a single extra penny. of selling only generic jewellery, using designs which are basically the same for everyone, if you can offer your customers a chance to buy jewellery with customizable personalisation options, they are usually more than willing to pay a bit extra. Customer loyalty is of utmost importance when it comes to business. Along with customization, it is also important to take some extra steps to create and retain loyalty. Here are some of the special touches that will go a long way in creating a customer base. Nothing reaches out to people more than personal care and warmth. Build a special bond with every customer and maintain personal relationships. A great way to create a personal touch is to keep a record of their birthdays and anniversaries and to wish them on these special days. You can also launch exclusive offers only for them on these days. This will create a sense of belonging and instill the feeling that you care for them and want to make their day special. Small gestures go a long way in business. The basic human nature is drawn to anything that says free or discount. The prospect of paying less attracts people like moth to flame. You can offer some discounts, maybe on certain festivals or special days. You can also give free gifts with a purchase of a certain value, or simply on special occasions or even. This will create a greater footfall on your online business portal, enhancing sales and building a stronger relationship with your clients. 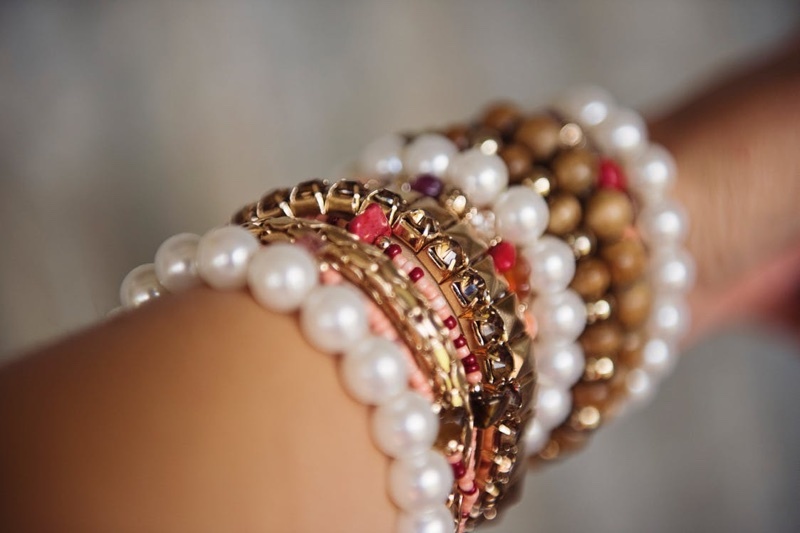 Often people do not know or understand how to choose the perfect customised jewellery. You can organise a workshop or class to help them understand and appreciate the processes through which their jewellery goes, in order for them to receive the perfect piece. They can learn about gemstones and how to pick the right cut for their diamonds. As they learn about the four fundamental parameters that determine the quality of a diamond, namely, Cut, Clarity, Color and Carat, collectively called the 4Cs, they will, in turn help you create better jewellery for them. You can take help of informative and authority driven websites like Beyond4cs.com etc. to inform your customers better and protect them from making a bad purchase. With proper slides and real examples, your customer will be able to identify and make use of the most authentic gems and metals to create fabulous pieces of jewellery which will uphold your name. Free or paid jewellery making workshops for the tots will also bring their parents to you. 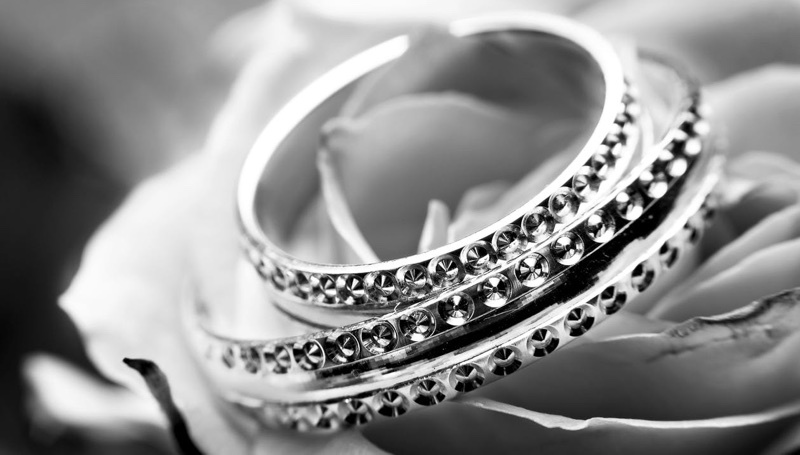 As they learn more about your jewellery shopping website, chances of making sales are higher. Parents love it when their children are engaged in a fruitful and fun set of exercises. This also gives them a free time to browse through your services. Often fellow parents also end up recommending and creating customers at such workshops, which helps you promote your brand without advertising. Moreover, by inculcating the love of jewellery, you end up creating an awareness and love among these little minds, who will grow up to be your customers. Personalisation is the keyword when it comes to creating a customer base. In this competitive online business market with more options than ever before, personalisation is the one thing that can set your brand apart from the others. 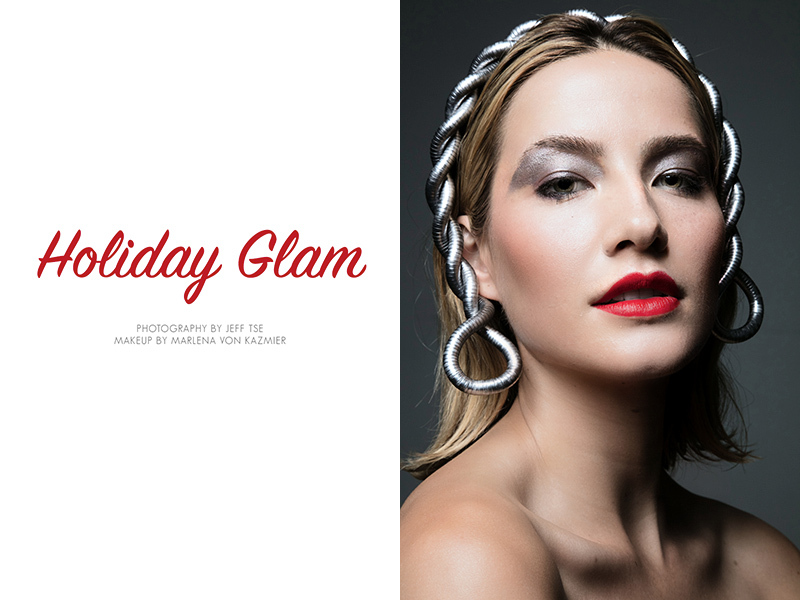 Just in time for the holiday season, photographer Jeff Tse captures a festive beauty story for FGR’s latest exclusive. Makeup artist Marlena von Kazmier creates glittering looks including silver eyeshadow, bold red lipstick and rouged cheeks. Models Anna Maria Olbrycht, Juliet Miquelarena, Christina Zapolski and Alana Greszata impress in these striking portraits. Silver accessories also add a pop of metallic to the looks. You may say no to the Clasp Tote and maybe to the Clasp Shoulder Bag. 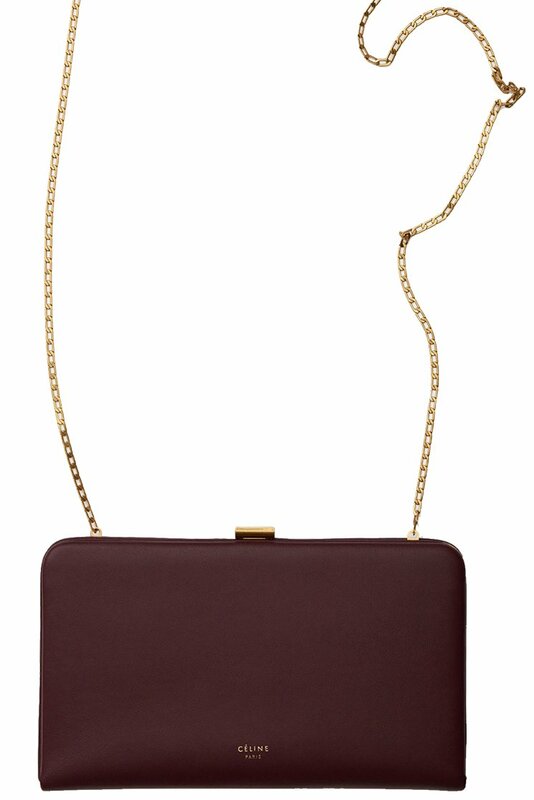 But there is no way you can turn your back on the Celine Clasp Large WOC. 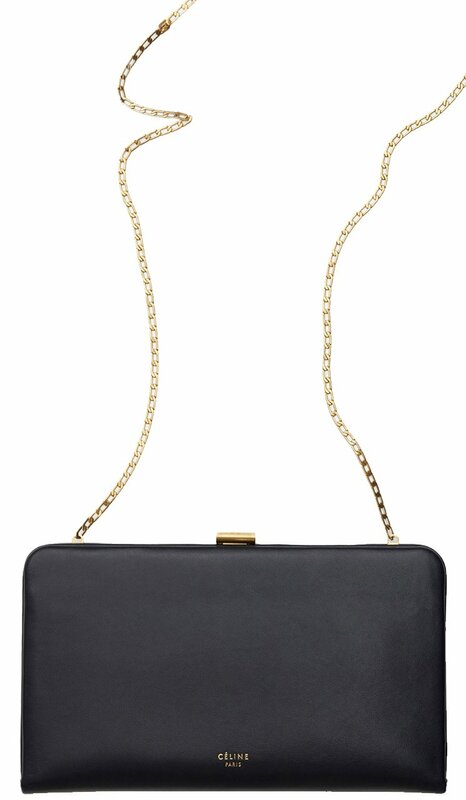 This new handbag is gorgeous beyond words and it’s one of the chic’est Wallet On Chain you will ever meet. Straight from the Spring 2018 Collection, let’s chat about this beauty. The Clasp Large WOC has the shape of a large wallet, but it’s refined with the DNA of the Clasp Bag. Celine has crafted this WOC as minimal as possible, like always; solid colors, fine curvy edges and the logo printed lightly and tiny on the bottom. The top of the bag is made with the new but signature Clasp. It’s the same Clasp design like on the Clasp Tote. It’s elegant, feminine and ladylike. What’s more? It comes with long but jewel-like chain strap. This chain can be removed anytime you want, so it can be changed into an evening clutch or a large wallet. The chain is long enough to help you carry this bag on your shoulder or over the shoulder. 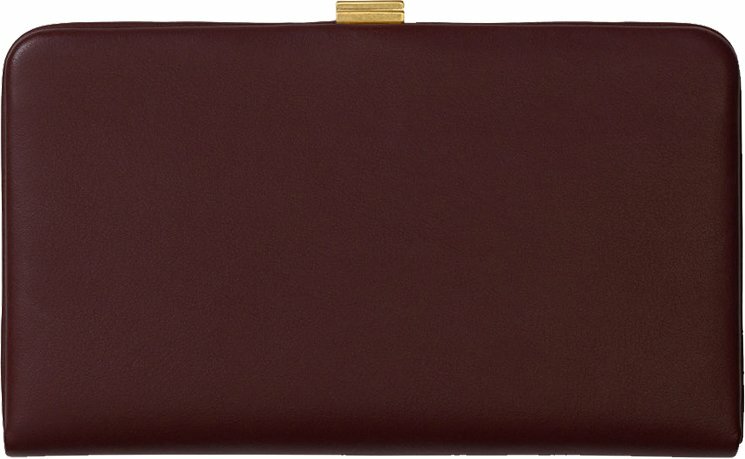 This bag is made from box calfskin, which is a durable and luxurious leather. 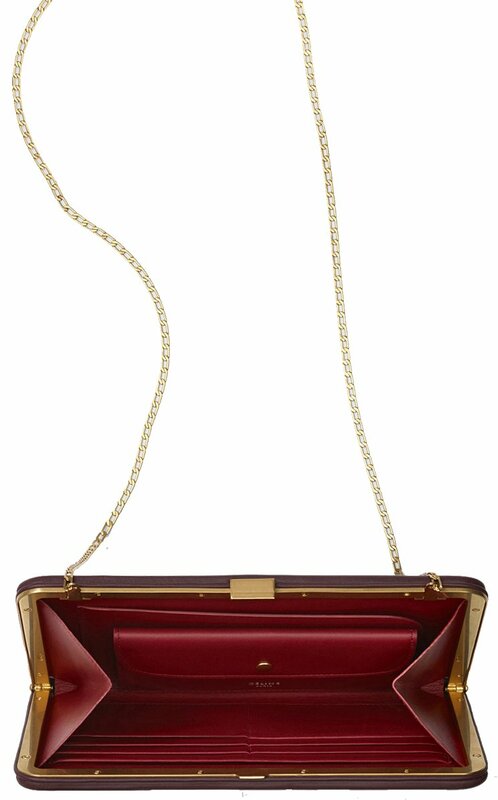 This bag opens like a Minaudiere Clutch. Inside the Clasp WOC, you can find an internal flap pouch. There is also one main gusset compartment to store your basic necessities. Other helpful compartments are two flat pockets and six credit card slots. The flap pouch is measured 6’ x 3’ inches. Measuring 8’ x 5’ inches, priced at $1650 USD, 1200 euro, 1100 GBP, $13000 HKD, 12500 CNY, 190000 JPY, $2000 SGD, $2100 AUD via Celine boutiques. 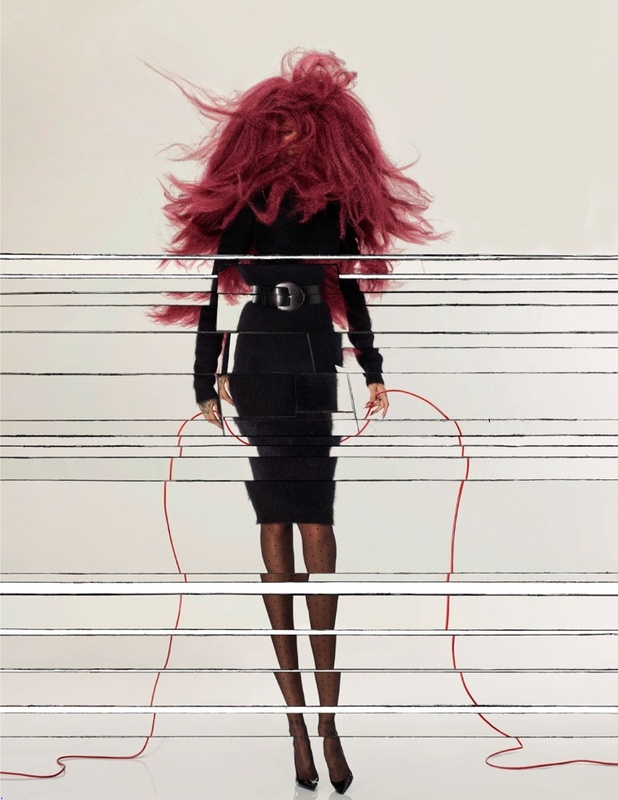 After landing three covers for Vogue Paris‘ December-January 2017.2018 issue, Rihanna appears in a fashion forward shoot captured by Jean-Paul Goude. The pop star transforms in 90’s inspired styles, looking like a fashion sketch come to life. Stylist Aleksandra Woroniecka dresses Rihanna in all-black ensembles including tulle skirts and sharp blazers. Complete with a microphone, the ‘Wild Thoughts’ singer looks like a true fashion plate in the cutting-edge images. When it comes to winter accessories, hats are at the top of the list. And if you are looking for stylish headpieces, Neiman Marcus serves up plenty of inspiration with a recent trend guide. Called ‘Head Start’, model Cora Keegan poses in winter hat styles. From beanies to fedoras to headbands, these styles go perfectly with any cold weather outfit. Feathers, pompoms and even cat ears work as playful accents.